Lord, today we pray for Joshua Boyle, Caitlan Coleman and their two young children. Lord, it is so sad that this husband and wife have been held hostage for four years in Afghanistan—and that their children were born in captivity. Lord, please keep them calm, sane, stimulated, gracious, strong, hopeful, resilient, creative, safe. We do not know if they know you, but we pray they will seek you as they seek hope. We pray for their children, that they would be miraculously able to thrive and grow. We pray that the terrorists will have mercy on these children, and even be protective of them. 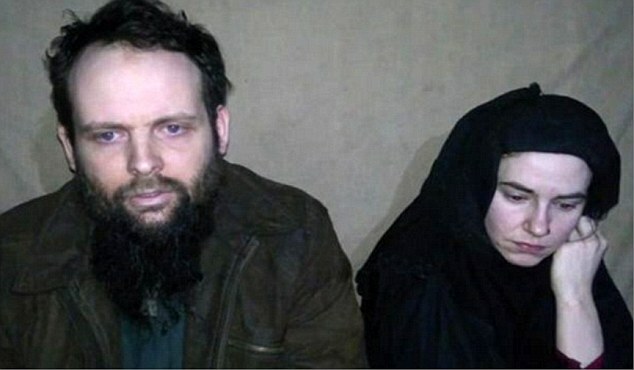 Ultimately, of course, we pray for this family’s release. May people all around the world pray for this family this Christmas season, so they may feel buoyed up by our prayer support. In Jesus’ name we pray, amen.